Shapewear concealing and comfortable at the same time: These ladies' long briefs from the SCHIESSER line "Seamless light" are a true must-have in every underwear drawer! 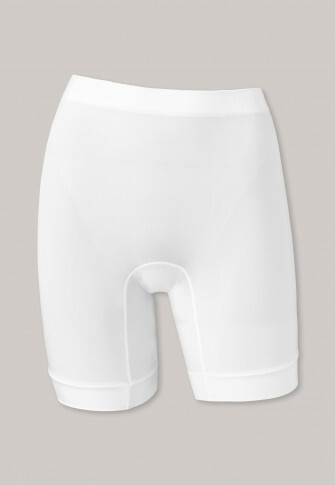 Without any bothersome side seams the seamless briefs feel wonderfully soft, skilfully pull off amazingly slender thighs with the somewhat longer leg shape and magically conjure up a firm behind in no time. The whole thing is wonderfully soft, without pinching or cutting and naturally in the best SCHIESSER quality!